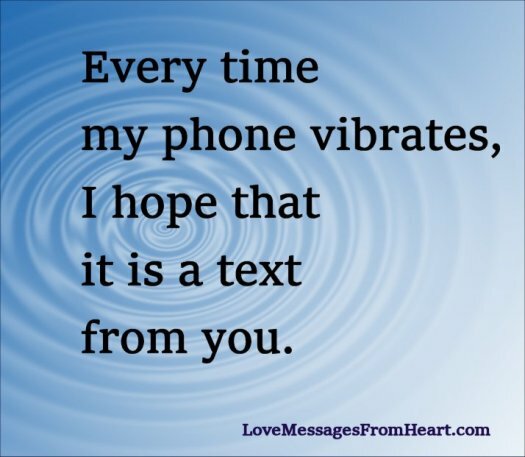 Every time my phone vibrates I hope that it is a text from you. I always look forward to your text … I never leave my phone away from me. I enjoy talking on the phone with you, but nothing is better than being next to you. When you text me and my phone vibrates, I can feel my heart skip a beat. My dear, even if far from you, my phone has your face on it and I keep it close to my heart.